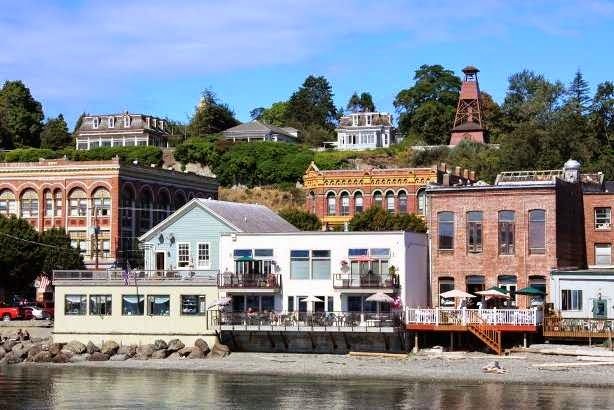 What a round about way to talk about old times in Port Townsend Wash. It started out with finishing 2 years of boat building school at Seattle Community College back in the late '60's. 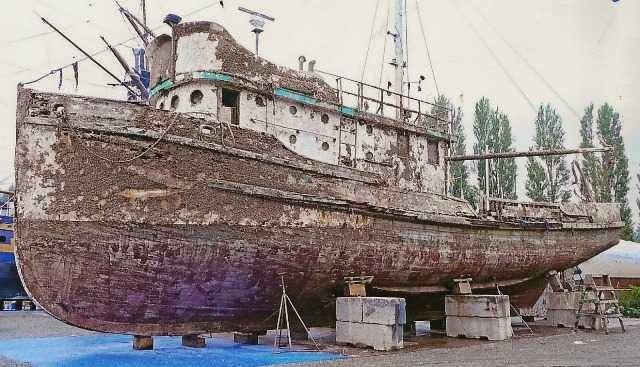 When it came to looking for a job time it suddenly dawned on me that the wooden boats I liked so much were not going to have many job openings. Anything I could find was in a plastic boat factory. I heard about a wooden boat workshop/coop in Pt Townsend so I had to go check it out. It was housed in a very large old boat house but sadly a little cliquish with the few projects they had. You could pay to work there kinda like a school but not really. They were on a shoe string. So I got a few dirty jobs in the haul-out yard at the main harbor. Hull cleaning, caulking, painting and a little bit of finish work. At least it was mostly wood. Then a girlfriend moved up from Seattle and we shared a place and met a lot of people. Hanging out at two beach bars we fell in with this crowd that would be invited once a week to come to the then best restaurant in town after closing the bar and he would feed anywhere from 10 to 20 people in absolutely gourmet fashion. Mostly we would all chip in to pay for materials but if you didn't have it, it was no problem. I'll never forget his magic and it was all healthy food. Where did I go from here ...... who knows? In 2007, Slow Food International, which currently represents thousands of projects in over 160 countries, held its fifth international conference in the city of Puebla, where, along with a variety of other traditional food and drink, pulque, with its deep roots and its ingredients sourced locally, was the star of the event. The pulque is slow food par excellence of Mexico. Its unique and delicate process of fermentation, through which a very active team of native bacteria transform the sweet mead and freshly harvested (agave nectar) transform in complex and frothy drink that is easy to take and has a variety of benefits . 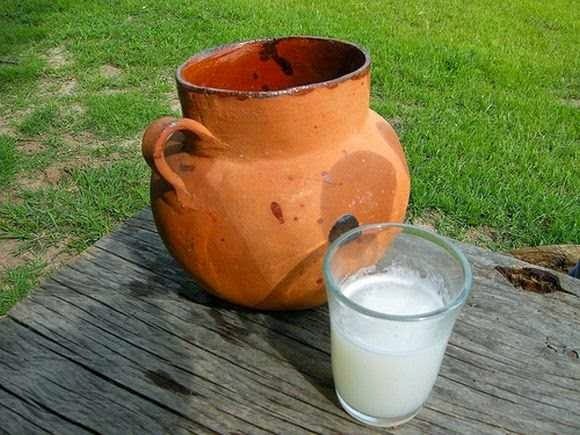 Nutrition (also produce light joy) These beneficial bacteria limit the transport distance of pulque, since it has a lifespan of 24 hours; in other words, should be drunk very near where manufactured. Scientists and fans fermented foods and their nutritional benefits identified it as a dietary supplement, especially for the elderly and those suffering from kidney conditions. The nutritional analysis indicates that the fermentation process increases their vitamin content of 5 to 29 mg of thiamine, niacin 515mg 54 and 18 to 33mg riboflavin. It also has large amounts of vitamin C, B complex, D, E, amino acids and minerals such as iron and phosphorus. One&Only Santa Maria de Xala will be part of a new 1200-hectare development located approximately 100 kilometers (60 miles) south of Puerto Vallarta’s international airport. The authentic hacienda resort will command 8km (5mi) of impressive beach front, a connection to traditions past yet offering the latest in ultra-luxury. The resort will offer approximately 75 luxury villas and suites with private pools, providing the perfect accommodation for both couples and families. The development will also include a prestigious One&Only residential component. The region’s heritage will be woven throughout the resort, utilizing natural elements, to inform the design of both the public and private spaces of the resort. True to the brand’s heritage, One&Only Santa Maria de Xala will offer a variety of world-class cuisines, showcasing regional specialties in restaurants overseen by internationally-acclaimed chefs. All culinary experiences will showcase the incredible local and seasonal offerings. The resort will also house an indulgent One&Only Spa, honouring the region’s heritage by utilising ancient Mexican traditions and holistic practices fused with modern spa therapies, as well as a Fitness Centre offering the latest technology and innovation. In addition, event and meeting space will be available for bespoke gatherings, whether for business or personal pleasure. One&Only Xala is planned to break ground in 2016. I swear if all development plans went through and the dead projects brought back to life the whole Jalisco coast would be one solid resort. Maybe that's where they got the phrase "The New Cancun" for coastline near Tomatlan. These KaraKara people will take your money even though they haven't yet found a location. How crazy is that? TreaZureZ is a master planned, multi-phased, sustainable development that fuses the rich culture and architecture of old Mexico with today’s earth-friendly water, waste and power technologies. Phase 1 of the development: We are identifying location and will announce shortly. Development in this area will include an Eco-Resort containing 24 yurts, a boutique hotel with beach club, residential condominiums, private residential homes, condominium hotel product, a commercial center and a golf course with clubhouse. Become part of the exciting developments of TreaZureZ by becoming a Private Membership Club Member! Experience the “Luxury of Nature” at KaraKara. KaraKara Eco Resort is located on a spectacular uninhabited 10 km section of beach and private bays on the remarkable Pacific Coast of Costalegre, located between Puerto Vallarta and Manzanillo, Jalisco, Mexico. The name "Costalegre", which literally translates as "Coast of Joy", is known as "The Virgin Coast" of Mexico. It remains one of the last unspoiled coastal areas of Mexico. Do not miss the opportunity to be part of this unique project in Mexico! Moringa is a beautiful tree but mine is out of control. I didn't realize how fast they grow and kinda fell asleep while it shot up. I did cut it off once but from ladder height so it was already to big. The idea of keeping them small is for harvesting leaves and seed pods. This one is flowering the second time so have a few babies around the yard but have not seen the seed pods (called drum sticks). I'm afraid I'm gonna have to cut this down and start over. You can see in the video what I should have been doing all along. When tree reaches a height of 1 meter (3.25 ft) cut to height of .5 meter (20 in.). When tree reaches a height of 1.5 meters (5 ft) cut to height of 1 meter (3.25 ft). When tree reaches a height of 2 meters (6.5 ft) cut to height of 1.5 meter (5 ft). When tree reaches a height of 2.5 (8 ft) meters cut to height of 2 meters (6.5 ft). Flowers will appear after 9 months. Seed pods will mature at around 12 months. When harvesting leaves or seed pods prune trees to height of 2 meters (6.5 ft). I saw a bit of this looking out my kitchen window about 7:30 in the morning so I went outside to look down the street. Somewhere a few blocks away someone was burning so the effect was sunrise and smoke. Never know what you'll get shooting into the sun. A little later I went out to shovel gravel into potholes in the entrance road but before I could get started along came the cattle herd. Don't remember if the owner was with them but they do get around by themselves from time to time. They never hurry and even the big water truck behind has to wait it's turn. Not the best foto but come to think of it there may never be a better one. This is a Higuera Fig that has strangled another tree of some kind and is the only tree I know of that drops all it's leaves like it's fall. Looks like the sunny side is loosing them first. The strangest thing about it is after it is totally bare it will be fully green again in about 2 weeks. It's a once a year thing. 8 January of 2015.- The months of January, February and March are traditionally dry. 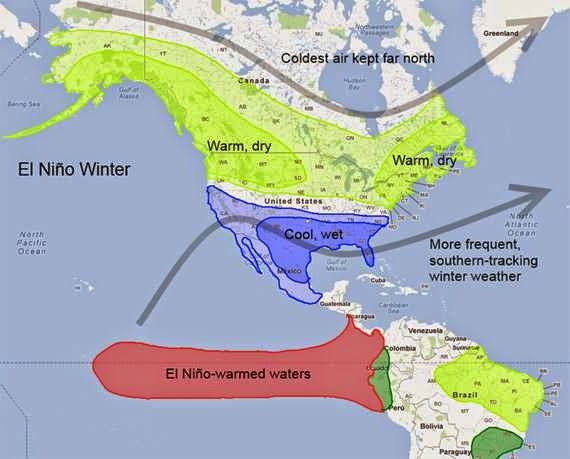 However, the first quarter of 2015 could record sporadic rains in Jalisco, due to the presence of El Niño, which occurs when the waters of the Pacific Ocean have an increase in temperature, reported Meulenert Angel Peña, professor and researcher of the Institute Astronomy and Meteorology of the University of Guadalajara (University of Guadalajara). 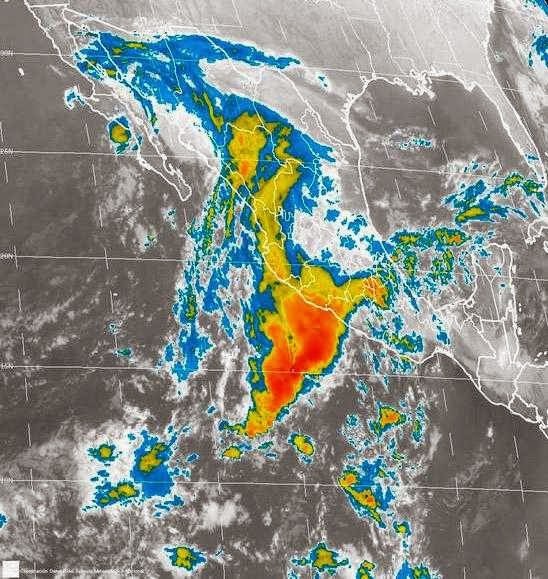 "If the tropical Pacific warming more than normal, can cause an imbalance in the atmosphere and that imbalance manifests so that in some areas of the planet rain when it's not the rainy season" said the expert. At least Seattle didn't have to pull off any last minute miracles and was in the game all the way. Sad to say I fell asleep before it was over but the weather cut off the SKY satellite reception for all of half-time and some of the second half (I hate half-time theatricks). So that's the end of football season and I have no idea what the NFL Channel is going to do for the next six months but I guess they'll survive. Not even this will get me over on the Fox Sports channel with that damned Canadian Hockey that seems to run all year.